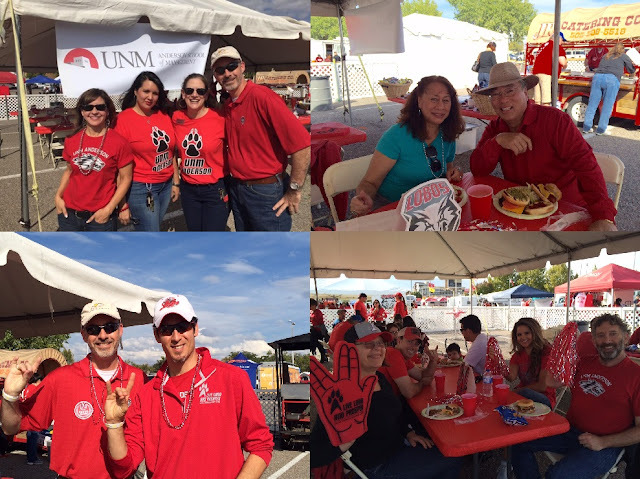 Faculty, staff, students, and alumni all turned out to join UNM Anderson's Alumni Association for the 2015 Homecoming tailgating party on October 17th. Attendees enjoyed food from JR's BBQ and good company before going on to cheer UNM's 28-27 victory over the University of Hawaii. Many thanks and congratulations to Darrell Garcia, Senior Alumni Relations Officer, for coordinating this successful event!